A look Behind the Seams: July 2018. Vida Brands releases first full collection of BCBGirls. Based on four design stories, the spring collection totals more than 30 silhouettes. In the American Kitsch assortment, denim and gingham take center stage, while the Modern Picnic story is all about elegant fabrics and sweet details such as satin, grosgrain and fur accents. 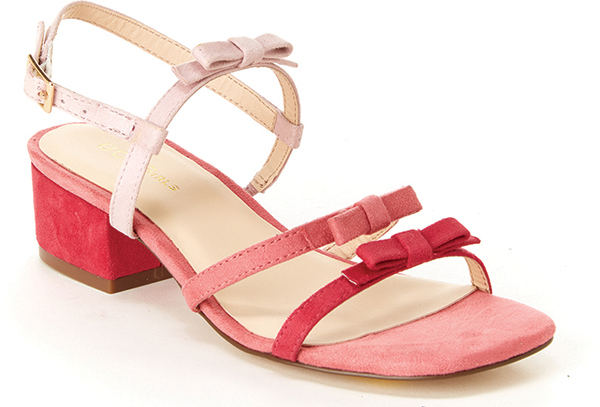 For the Historic Bohemiam group, styles feature soft colors and embellishments like daisies and studs, whereas the Summer Paradise designs showcase bright colors and prints mixed with transparencies that include some functional play shoes on neoprene. The designs are meant to appeal to two style archetypes: the sweetheart and the adventurer, according to Gonzalez. “The sweetheart is our princess that needs no crown,” he says, noting that this girl emulates her mom’s ultra-feminine style in classic pieces with playful details and sweet embellishments. “Our adventurer is our fearless girl who sports on-trend dynamic looks that allow freedom of movement while she discovers her world and expresses her passions,” he adds. 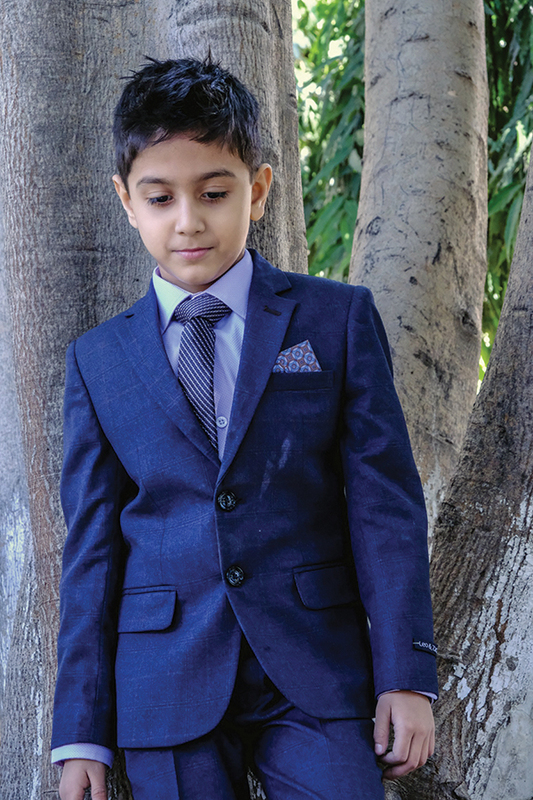 Leo & Zachary replaces stiff and pricey with playful and affordable across boys’ special occasion wear. Unlike the glitz and glam galore offerings in girls’ fashion, parents seeking dressier options for boys are often faced with a sparse selection in stores. Noticing the frustration with lackluster—and overpriced—dress shirts, former children’s retailer Abe Hamui believed the market was in need of a solution. With the help of his friend, Leo Jacobs, and English designer, Zachary Edwards, the team launched the English-themed boys dresswear label Leo & Zachary in the spring of 2016. Dress shirts were the first order of business, which received positive feedback right out of the gate. The shirts were commended for their diverse selection of materials and textures. That quickly dovetailed into dress pants, blazers, suits and sweaters in sizes 2 to 18. “We aim to mimic classic English styling—nothing too flamboyant like what you see from Italians,” Hamui says, noting an affordable price point has been another key aspect of the company’s success. Most styles retail for under $40. “Some parents have three or four kids and not everybody wants to spend $60 on a dress shirt,” he says. In fact, Hamui reports that some retail partners have teased that Leo & Zachary are practically giving merchandise away. “We want to finally provide top quality for a great price,” he adds. 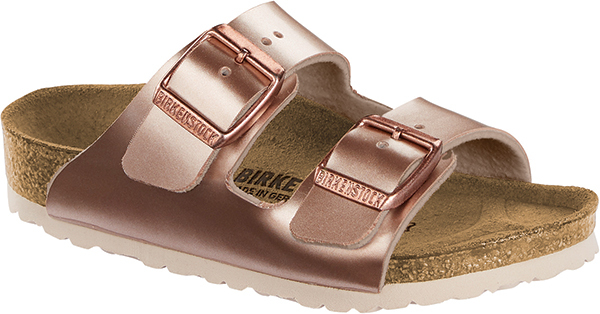 Birkenstock updates its spring kids’ line with trendy colorways and mini me adaptations. A new generation of Birkenstock customers has been coming into the fold the past several years, fueled by runway models, A-list celebrities and Millennials’ and Gen Z’s desire to seek authentic brands rich in heritage. And at 244 years old, well, you can’t get much more storied than Birkenstock. Of course, the macro shift to casual dressing has also worked in the brand’s favor, as its sandals are one of the few non-sneaker styles that goes well with athleisure wear. “You’ll find us worn by young kids to tweens to adults,” says Jaqueline Van Dine, vice president of merchandising, adding that Birkenstock’s DNA naturally lends itself to the children’s market. Synonymous with comfort and versatility, Birkenstock’s classic contoured cork footbed sandals, clogs and sneakers all provide ample flexibility and support for developing feet. “But that’s not to say style is sacrificed,” Van Dine adds. For Spring ’19, Birkenstock is releasing new playful prints, including a silver and pink hologram treatment and a cool camouflage made up of a dinosaur motif. The brand is also eager to introduce a takedown of its best-selling copper-metallic Arizona sandal, which Van Dine says is in step with the “mommy and me” fashion movement. “We’ve seen a desire from kids to look like older siblings and even their parents who wear Birkenstock,” she says, noting she expects kids’ adaptations of adult styles to be a growing category again next year. “Our retail partners are excited to add new items to their growing Birkenstock kids’ business, especially with the takedowns of our most popular adult products,” she adds. The suggested retail price range for the line is $29.95 to $79.95. Baby Paper offers a colorful tactile experience for on-the-go parenting. Mentioned by CNN as a top choice for traveling with an infant, Baby Paper has become a go-to accessory for colorful gift basket add-ons to Mom’s diaper bag essentials. It all started when momtrepreneur Sari Wiaz decided to replicate the satisfying crinkle of restaurant napkins she used to occupy her children—but without the mess. Business on a creative budget has progressed since. Wiaz hired her first sales rep in Chicago by bartering for imprinted goods the showroom needed for an event. 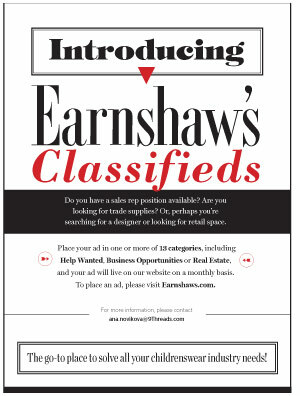 “Buyers would come in and be instantly drawn to playing with our product,” she says. The product was displayed enticingly in a basket in the middle of the showroom’s table. Now available in 18 playful prints with three organic styles, new crinkle books and large paper styles for special needs, Baby Paper is launching seven new patterns this month along with two Crinkle Cuddlers (a lamb and a dog with Baby Paper bodies). The company is also in talks with the NFL on licensed designs (with other possible MLB and NCAA partnerships). 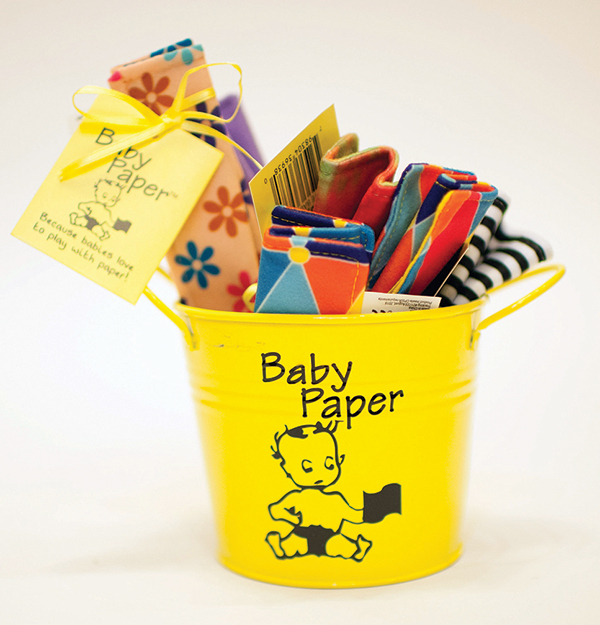 In the meantime, Baby Paper can be found in approximately 800 retailers nationwide, as well as several international accounts.